Click here if you are accessing this page on your mobile phone. 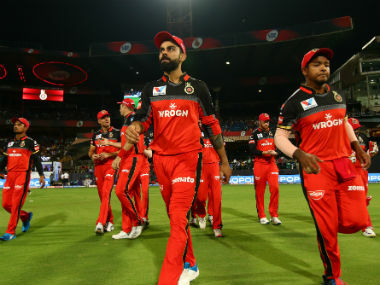 Abu Dhabi: Recovering from back-to-back defeats, a demoralised Rajasthan Royals will have to sort out their issues before they clash with Bangalore Royal Challengers, whose rampaging run was brought to a halt by Kolkata Knight Riders last night, in an IPL-7 match here tomorrow. After a last-over win against Hyderabad in their campaign-opener, Rajasthan suffered two successive defeats against Kings XI Punjab and Chennai Super Kings and skipper Shane Watson will quickly have to address his teams' batting and bowling issues. 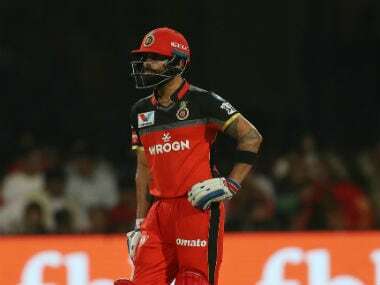 Bangalore, on the other hand, were on a high with two successive wins before Kolkata snatched a two-run unlikely victory to leave Virat Kohli and company stunned. Rajasthan have to better their all-round showing as both their batting and bowling have failed on separate occasions. If it was Ajinkya Rahane and Stuart Binny who helped Rajasthan narrowly cross the line in their first match, Watson and Sanju Samson came good in the next match with twin half-centuries to put up a good total against Punjab but their bowlers could not defend the total. and Samson have come up with one good innings but they have lacked consistency. 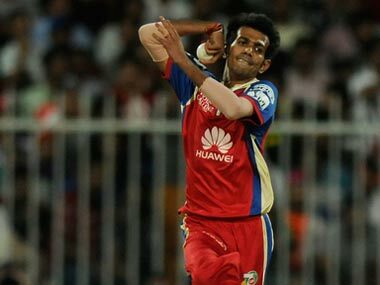 The pace department led by Dhawal Kulkarni and medium-pacer Rajat Bhatia have also not made much of an impact. Kane Richardson too has taken three wickets in two matches but he missed the last game due to sickness. Far from the days when Shane Warne used to be their spearhead, Rajasthan now lack a quality spinner as Pravin Tambe has not been very effective, with just one wicket to show from three matches. first match, it was Parthiv Patel and AB de Villiers who did the job against Mumbai when Yuvraj and Virat failed. 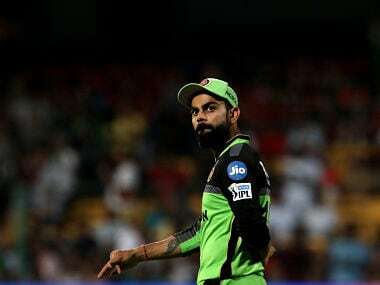 However, they failed to chase down a 150-run target last night despite being on track for most part of the match and they have to sort that out before tomorrow. Their pace trio of Varon Aaron (six wickets) , Mitchell Starc (five wickets) and Albie Morkel (three wickets) have contributed in the last three matches by taking wickets, while young spinner Yuzvendra Chahal too has bagged four wickets to help his team. Rajasthan Royals: SR Watson (C), Amit Mishra, Ankit Sharma, AK Bains, R Bhatia, STR Binny, UBT Chand, KK Cooper, BCJ Cutting, JP Faulkner, BJ Hodge, DJ Hooda, Iqbal Abdulla, DS Kulkarni, VS Malik, KK Nair, AM Nayar, AM Rahane, KW Richardson, SV Samson, SPD Smith, TG Southee, PV Tambe, R Tewatia, DH Yagnik. Patel, PA Patel, R Rampaul, S Rana, S Sandeep Warrier, MA Starc, YV Takawale, Yuvraj Singh, VH Zol.